English Engineer Walter Owen Bentley, MBE sadly died 13 August 1971. He was born 16 September 1888. in Hampstead, London, His father was retired businessman Alfred Bentley, and mother was Emily, née Waterhouse. He was as privately educated at Clifton College in Bristol from 1902 until 1905, when at the age of 16 he left to start work as an apprentice engineer with the Great Northern Railway at Doncaster in Yorkshire for five years . Here he learnt to design complex railway machinery and gained practical experience in the technical procedures to cast, manufacture, and build it. After completing his apprenticeship he left Great Northern in 1910 and began racing Quadrant, Rex, and Indian motorcycles. He competed in two Isle of Man Tourist Trophy races, on a Rex in 1909 and as a member of Indian’s factory team in 1910. After studying theoretical engineering at King’s College London, he took employment with the National Motor Cab Company, where his several duties included overseeing the maintenance of the fleet’s 250 Unics. He was fascinated by the cabbies’ ingenuity at fiddling the meters. In 1912 he joined his brother, H. M. (Horace Millner) Bentley, in a company called “Bentley and Bentley” that sold French DFP cars. 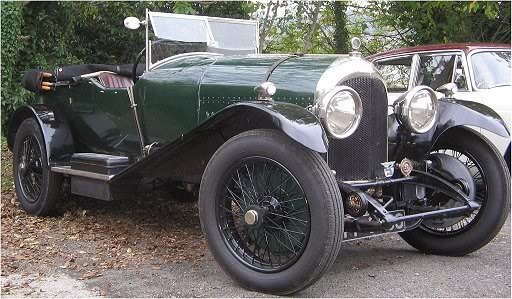 To improve performance Bentley designed Aluminium Alloy pistons and a modified crankshaft for the engines which went onto break several records at Brooklands in 1913 and 1914. During World War I Bentley used aluminium alloy pistons in military applications to benefit the national interest: as they improved power output and ran cooler, allowing higher compression ratios and higher engine speeds. He was Commissioned in the Royal Naval Air Service, and shared his knowledge and experience with various manufacturers. The company’s first aero engine, named the Eagle, was designed with pistons of aluminium instead of cast-iron or steel and the same innovation was also used in all Sunbeam’s aero engines. The Navy gave him a team to design his own aero engine at the Humber factory in Coventry. Designated the BR1, Bentley Rotary 1, And The bigger BR2 followed in early 1918. In recognition, Bentley was awarded the MBE. the Royal Commission on Awards to Inventors also awarded him £8,000. 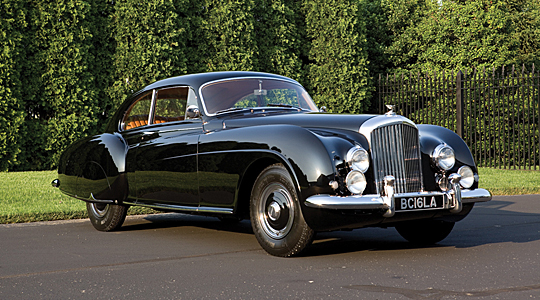 Sadly Bentley Motors Ltd. encountered financial difficulties, And Kimberley diamond magnate Barney Barnato’s heir Woolf Barnato purchased the business’s assets and became chairman.W. O. continued his design work as Barnato’s employee. 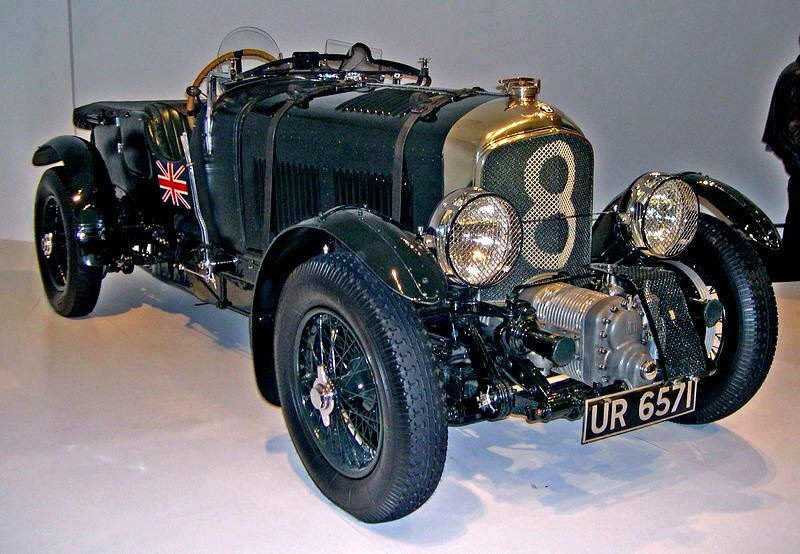 The racing version of the W.O.-designed six-cylinder Speed Six—the road car was introduced in 1928—proved to be the most successful Bentley in competition, and won Le Mans in 1929 and 1930. In 1929, a supercharged, “Blower” version of the 1927 4½ Litre was developed sadly though it was not a success. Although Barnato continued racing Bentleys with distinction, and even though the company sold a hundred of its 8 Litre model, which was launched as a grand car for the ultra-rich in October 1930 (Bugatti sold three of his equivalent model, the Royale), the Great Depression took its toll and By July 1931 Barnato’s financial support had dwindled, and Bentley Motors went into voluntary liquidation with a Receiver appointed to the company. Rolls-Royce eventually bought the company in 1931 and production of the Bentley 8 Litre, which competed directly with the Rolls-Royce Phantom II, was terminated and production switched to Rolls-Royce premises in Derby and, postwar, Crewe. Rolls-Royce also acquired the Bentley showrooms in Cork Street, the service station at Kingsbury, the whole establishment at Cricklewood and Bentley himself and Barnato was invited to become a director of the new Rolls-Royce subsidiary, Bentley Motors (1931) Limited, Bentley also joined Rolls-Royce under a contract extending from 1 May 1932 to the end of April 1935 and Work began on The new Derby 3 1⁄2-litre. Although Bentley admired Rolls-Royce’s achievements he left Rolls-Royce at the end of April 1935 with a sense of freedom. In 1935 Bentley joined the Lagonda board of directors as technical director, after A Lagonda M45R Rapide with a Meadows engine won at Le Mans with the majority of the Rolls-Royce racing department staff following him to Lagonda, including Frank Stark, Reg Ingham, Donald Bastow and Stewart Tresilian, who was Chief designer of the 4480 cc 180 Bhp V12 project launched in 1937 which could go from 7 to 105 mph in top gear and to rev to 5000 rpm. However Tresilian left in early 1938 for a Hawker Siddeley subsidiary and V12 development was abandoned. During the Second World war W. O. worked on armaments at Lagonda. towards the end of the war he began work on a new straight-6 engine as Lagonda’s V12 was too extravagant, so he developed a modern 2580 cc dual overhead cam straight-6 engine producing 105Bhp. In 1947 production of the Lagonda 2.6 litre motorcar designed by Mr W. O. Bentley, was cancelled. However this Lagonda specification was bought by David Brown & Sons (Huddersfield) Limited, gear-wheel manufacturer, along with Aston Martin to gain Bentley’s engineering expertise, and placed The under the bonnet of The Aston Martin DB2 and was used until 1959. 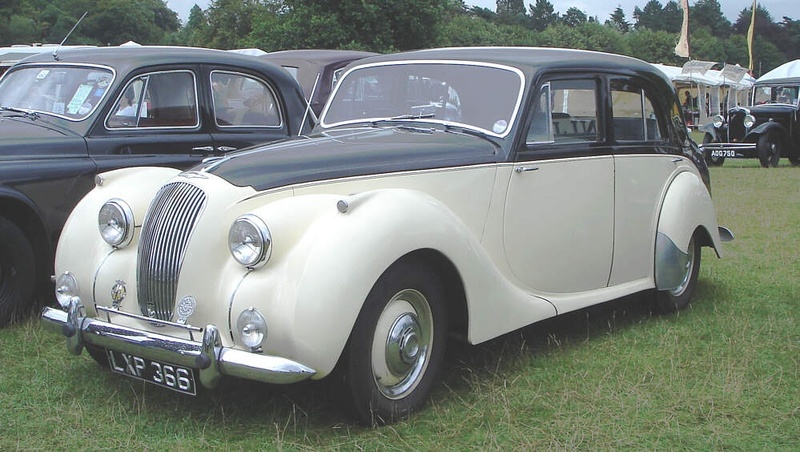 Bentley remained as an engineer at Aston Martin-Lagonda until moving to Armstrong Siddeley, where he designed another twin-overhead-cam 3-litre engine for the Armstrong Siddeley Sapphire before retiring. However He became a revered patron of The Bentley Drivers’ Club. W. O. married three times. In 1914 he married Leonie Gore, the daughter of the ninth baronet, who tragically died in 1919 . He then married Poppy (Audrey Hutchinson) in 1920. a fun-loving society woman who disliked factories, whereas Bentley, a homely modest man loved to spend his time in the workshop. Needless to satpy this caused frictionand they divorced in 1931. He finally married Margaret Roberts Hutton née Murray in 1934 and she survived him until 1989. He had no children. 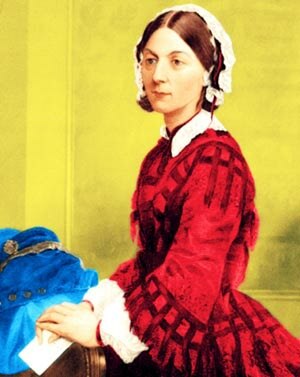 Celebrated English nurse, writer and statistician Florence Nightingale OM, RRC sadly Passed away on 13th August 1910. She was born on 12 May 1820 and is noted for her pioneering work in nursing during the Crimean War, where she tended to wounded soldiers, and was dubbed “The Lady with the Lamp” after her habit of making rounds at night. Nightingale laid the foundation of professional nursing with the establishment of her nursing school at St Thomas’ Hospital in London, the first nursing school in the world, now part of King’s College London. the annual International Nurses Day is celebrated around the world on her birthday. While she was in the Crimea, the Nightingale Fund for the training of nurses was established. Nightingale pioneered medical tourism as well, and wrote of spas in the Ottoman Empire, and directed less well off patients there (where treatment was cheaper than in Switzerland). Nightingale also set up the Nightingale Training School at St. Thomas’ Hospital. (Florence Nightingale School of Nursing and Midwifery at King’s College London.) and campaigned for the Royal Buckinghamshire Hospital in Aylesbury. She also wrote Notes on Nursing, a slim 136-page book that served as the cornerstone of the curriculum at the Nightingale School and other nursing schools,and though written specifically for the education of those nursing at home, it sold well to the general reading public and is considered a classic introduction to nursing. Nightingale was an advocate for the improvement of care and conditions in the military and civilian hospitals in Britain. One of her biggest achievements was the introduction of trained nurses into the workhouse system from the 1860s onwards. This meant that sick paupers were now being cared for by properly trained nursing staff and was the forerunner of the National Health Service in Britain. By 1882, Nightingale nurses had a growing and influential presence in the embryonic nursing profession. Some had become matrons at leading hospitals, including, in London, St Mary’s Hospital, Westminster Hospital, St Marylebone Workhouse Infirmary and the Hospital for Incurables at Putney, Royal Victoria Hospital, Netley; Edinburgh Royal Infirmary; Cumberland Infirmary and Liverpool Royal Infirmary, as well as at Sydney Hospital in New South Wales, Australia. English science-fiction author, Herbert George “H. G.” Wells sadly passed away on 13 August 1946 in London, aged 79. He was born 21st September 1866 in Bromley, Kent. He is best known for his work in the science fiction genre but also wrote contemporary novels about, history, politics and social commentary, as well as textbooks and rules for war games. Together with Jules Verne and Hugo Gernsback, Wells has been referred to as “The Father of Science Fiction”. His most notable science fiction works include The War of the Worlds, The Time Machine, The Invisible Man and The Island of Doctor Moreau & his earliest specialised training was in biology, and his thinking on ethical matters took place in a specifically and fundamentally Darwinian context. During his final years he became particularly outspoken in his criticism of the Catholic Church, he was also a diabetic, and in 1934 co-founded what is now Diabetes UK, the leading charity for people living with diabetes in the UK. On 28 October 1940 Wells was interviewed by Orson Welles, who two years previously had performed an infamous radio adaptation of The War of the Worlds, on KTSA radio in San Antonio, Texas. In the interview, Wells admitted his surprise at the widespread panic that resulted from the broadcast, but acknowledged his debt to Welles for increasing sales of one of his “more obscure” titles. In his preface to the 1941 edition of The War in the Air, Wells had stated that his epitaph should be: “I told you so. You damned fools”. He was cremated at Golders Green Crematorium on 16 August 1946, his ashes scattered at sea. A commemorative blue plaque in his honour was installed at his home in Regent’s Park. 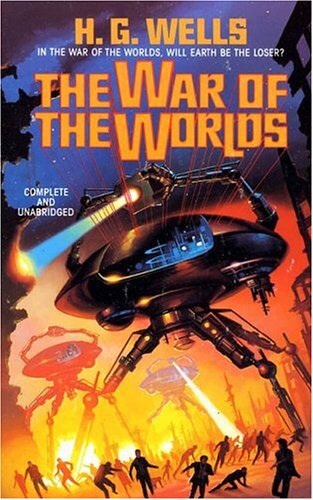 Many novellists such as Ray Bradbury, Isaac Asimov, Frank Herbert, Ursula K. Le Guin, Olaf Stapledon, J. D. Beresford, S. Fowler Wright, and Naomi Mitchison, Arthur C. Clarke, Brian Aldiss, Stephen Baxter, Christopher Priest and Adam Roberts Admire Well’s work and have acknowledged Wells’s influence on their writing. Vladimir Nabokov described Wells as his favourite writer when he was a boy and as “a great artist.” He went on to cite The Passionate Friends, Ann Veronica, The Time Machine, and The Country of the Blind as superior to anything else written by Wells’s British contemporaries. In the United States, Hugo Gernsback reprinted most of Wells’s work in the pulp magazine Amazing Stories, regarding Wells’s work as “texts of central importance to the self-conscious new genre”. In Britain. Often “referred to as the “Master of Suspense”, the Prolific British film director and Producer, Alfred Hitchcock KBE, was born 13 August 1899 in Leytonstone, London and during a career spanning more than half a century, He pioneered many elements of the suspense and psychological thriller genres. He had a successful career in British cinema with both silent films and early talkies and became renowned as England’s best director. Gradually Hitchcock became a highly visible public figure through interviews, movie trailers, cameo appearances in his own films, And he also hosted the television programme Alfred Hitchcock Presents (1955–1965) and Created a recognisable directorial style. Hitchcock’s stylistic trademarks include the use of camera movement that mimics a person’s gaze, forcing viewers to engage in a form of voyeurism. In addition, he framed shots to maximise anxiety, fear, or empathy, and used innovative forms of film editing. His work often features fugitives on the run alongside “icy blonde” female characters. Hitchcock also developed many pioneering techniques in the suspense and psychological thriller genres during which he created a distinctive and recognisable directorial style. He pioneered the use of a camera made to move in a way that mimics a person’s gaze, forcing viewers to engage in a form of voyeurism. He framed shots to maximise anxiety, fear, or empathy, and used innovative film editing. His stories frequently feature fugitives on the run from the law alongside “icy blonde” female characters. Many of Hitchcock’s films have twist endings and thrilling plots featuring depictions of violence, murder, and crime, although many of the mysteries function as decoys meant only to serve thematic elements in the film and the extremely complex psychological examinations of the characters. Hitchcock’s films also borrow many themes from psychoanalysis and feature strong sexual undertones. Through his cameo appearances in his own films, interviews, film trailers, and the television program Alfred Hitchcock Presents, he became a cultural icon. Alfred Hitchcock sadly passed away 29 April 1980. He has left a long lasting legacy in the form of some fantastic films including Rebecca, Notorious, Saboteur, Spellbound, Psycho, Rope, The Birds, North by Northwest, Marnie, Vertigo, Rear Window, The Man Who Knew Too Much and Frenzy. Hitchcock also received his knighthood from Queen Elizabeth II In the 1980 New Year Honours and He also came first in a 2007 poll of film critics in The Daily Telegraph, which said of him: “Unquestionably the greatest filmmaker to emerge from these islands, Hitchcock did more than any director to shape modern cinema, which would be utterly different without him. His flair was for narrative, cruelly withholding crucial information (from his characters and from us) and engaging the emotions of the audience like no one else.” The magazine MovieMaker also described him as the most influential filmmaker of all time, and he is widely regarded as one of cinema’s most significant artists. Many of his films still remain popular today and are often shown on television.